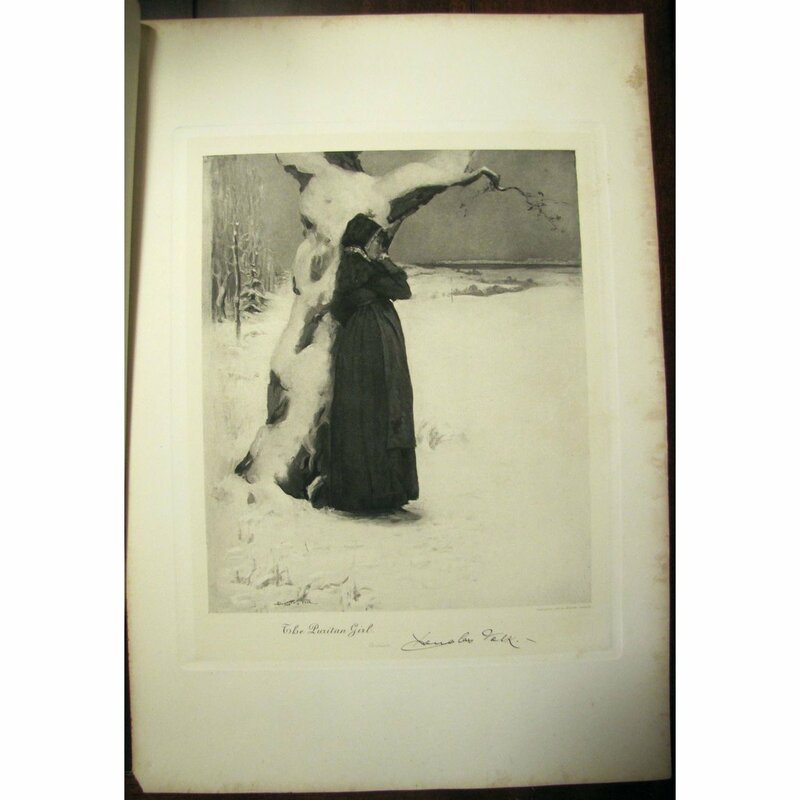 'ANTIQUE PHOTOGRAVURE 'THE PURITAN GIRL' by DOUGLAS VOLK - COPYRIGHTED GEORGE BARRIE 1882 Original, antique photogravure by George Barrie from 1882 titled The Puritan Girl by artist Douglas Volk. This engraving measures 17" by 11 1/2" with the actual image size being 9 3/4" by 8". It has the impressed border from the print impression of the block. 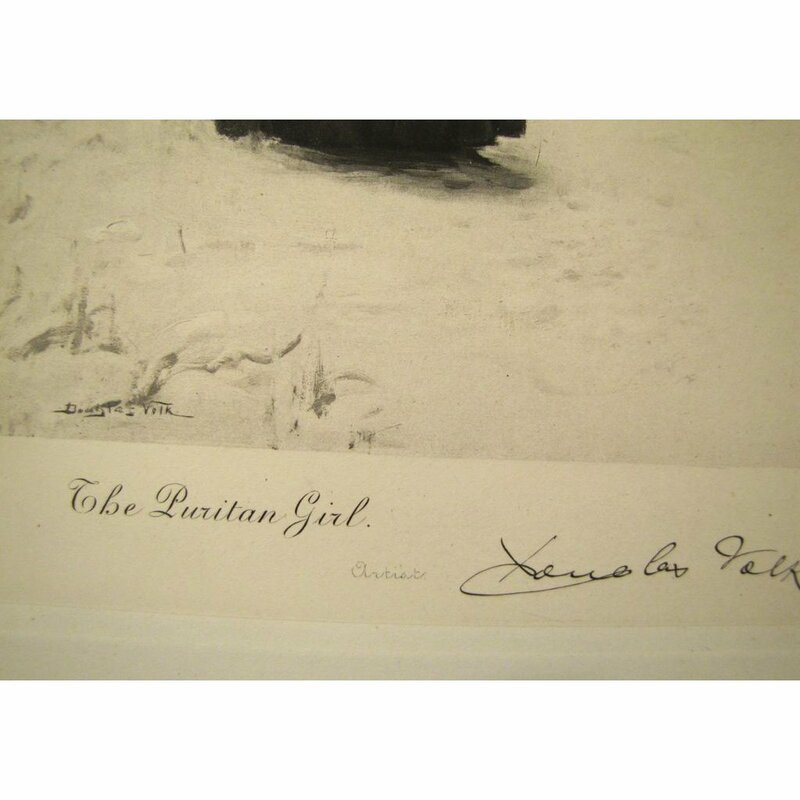 It has been protected by a tissue paper cover titled Collection of Mr. Thomas B. Clarke, New York - The Puritan Girl - Artist Douglas Volk. 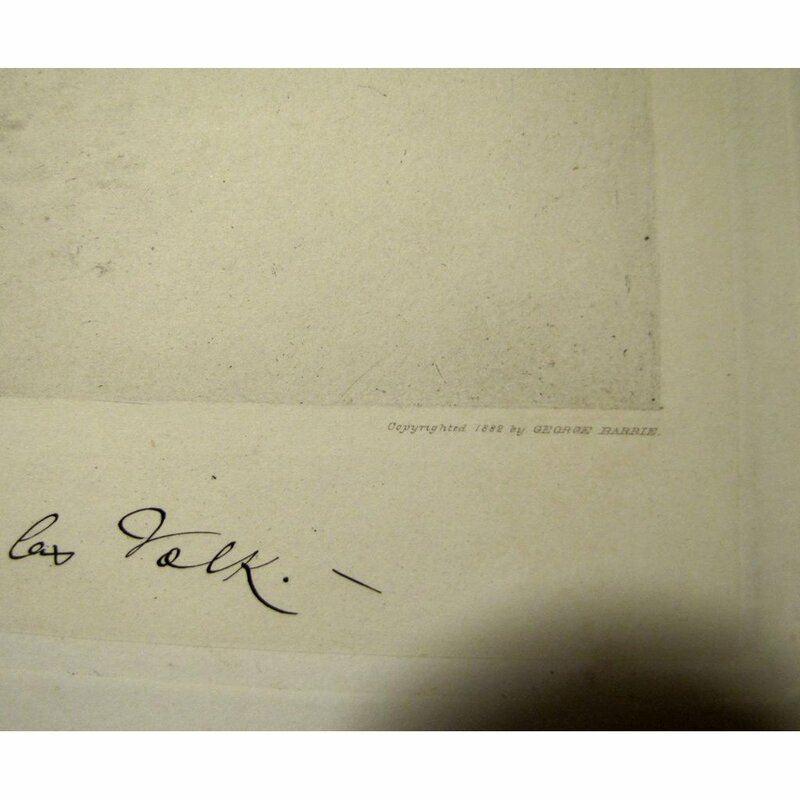 The engraving has a signature by Douglas Volk in the actual photogravure and also in the outer edge next to Artist. 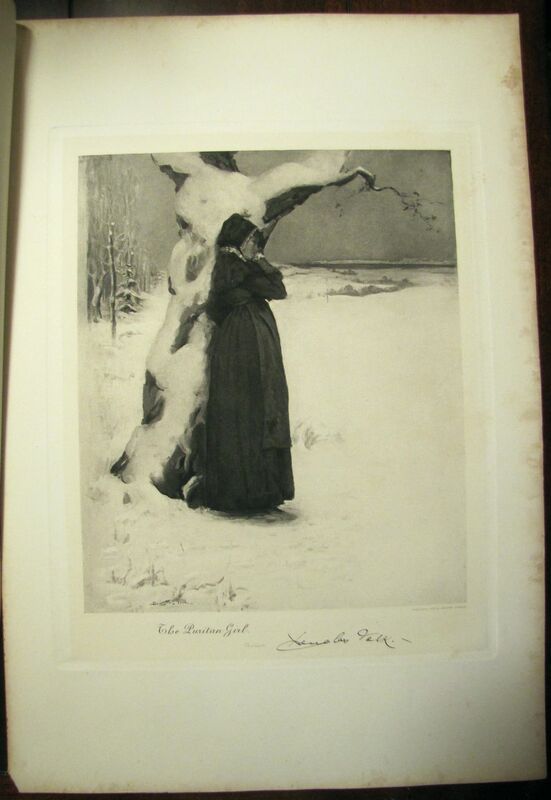 It is also marked on the bottom right Copyrighted 1882 by Georg Barrie. There is some discoloration to the outer edges of the matt area, but the image size is in good condition. A very crisp, clear and detailed engraving. 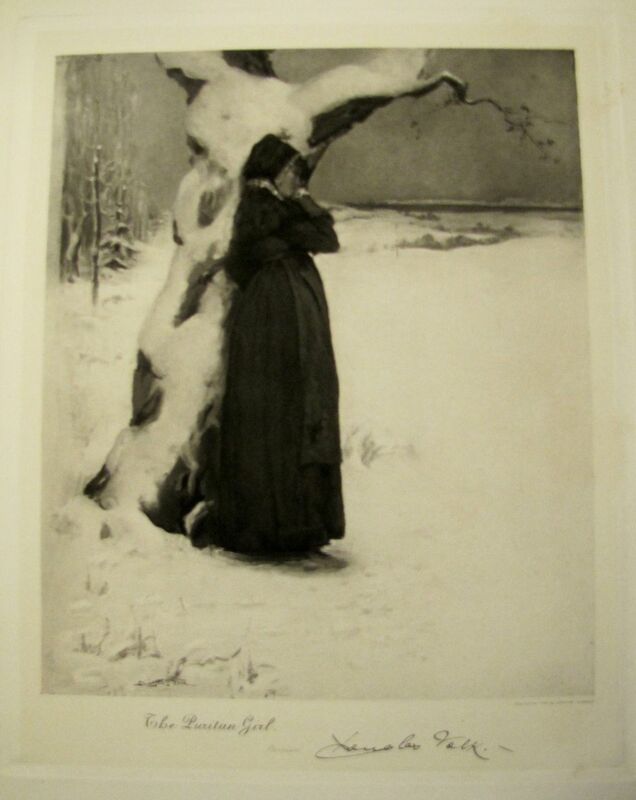 I will be listing other photogravures by George Barrie, if interested.